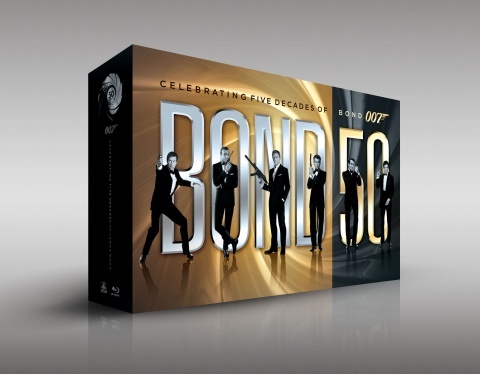 Michael Wilson and Barbara Broccoli discuss iconic James Bond moments in honor of the 50th anniversary and the release of the upcoming Golden Anniversary Blu-ray collection on Sept. 24 featuring all previous 22 movies. 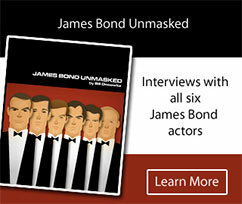 Broccoli discusses three defining moments from Dr. No: Sean Connery’s famous tag line in the casino, accompanied by Monty Norman’s legendary “Bond Theme,” and the seductive flirtation with Sylvia Trench (Eunice Grayson); Ursula Andress emerging from the sea as Honey Ryder; and the cold-blooded murder of Anthony Dawson’s Dent. She notes that they set the bar very high with these iconic moments that you want to recreate and expand with each film as you form a continuum. Broccoli adds that her father, Albert Cubby Broccoli taught her passion and how to be relentless in your pursuit of perfection and how to listen to people yet be decisive because indecision can be crippling during a moment of crisis. Wilson says they’re “always looking for ways to break it and start all over again” to keep the franchise fresh and relevant.